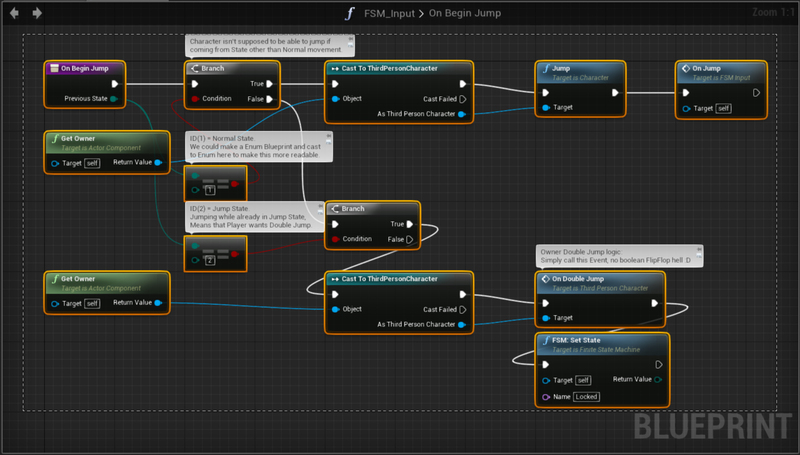 I will in this post explain a bit the general usage of the UFSM Plugin and how to use it for your advantage when developing complex character behaviors for your UE4 game projects. 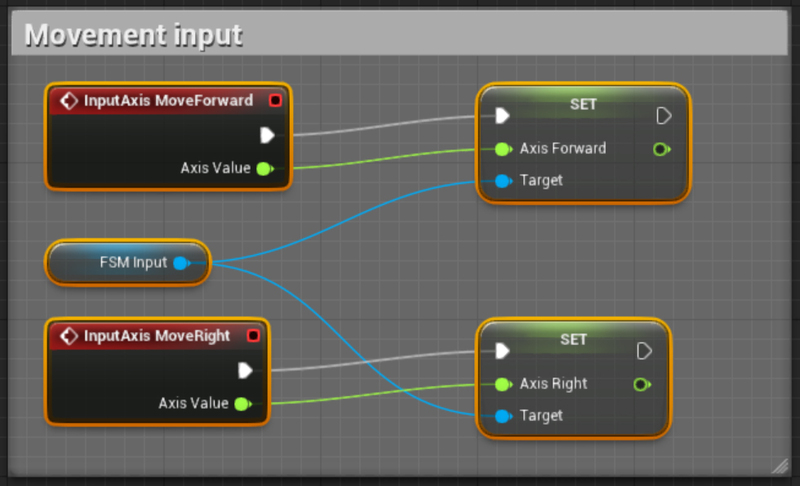 For this guide, we will focus on control inputs and how to encapsulate them inside FSM States to easily achieve different movement modes for our pawn. 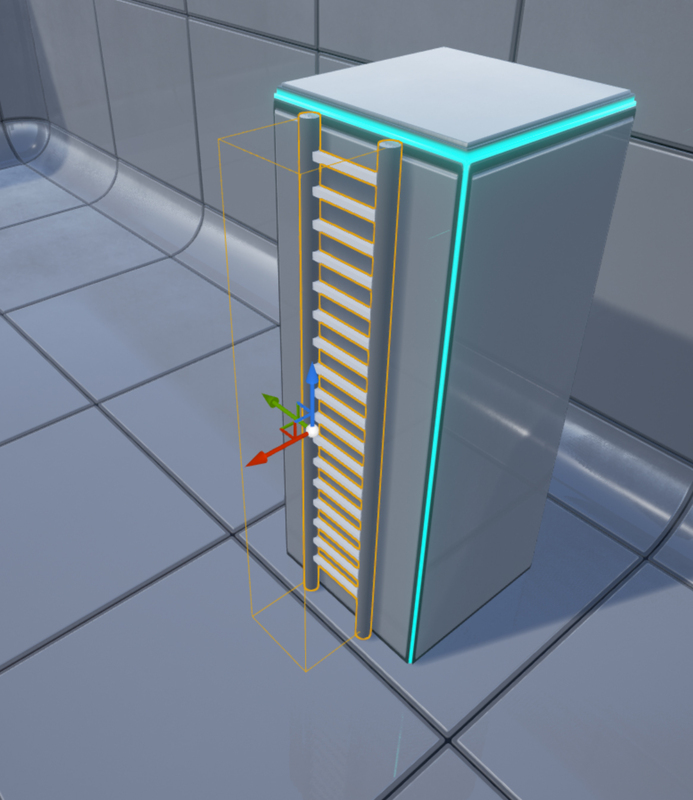 In order to achieve what is accomplish in this tutorial, you have to have access to the UFSM Plugin which you find at Gumroad, or at UE4 Marketplace on a later date when released. 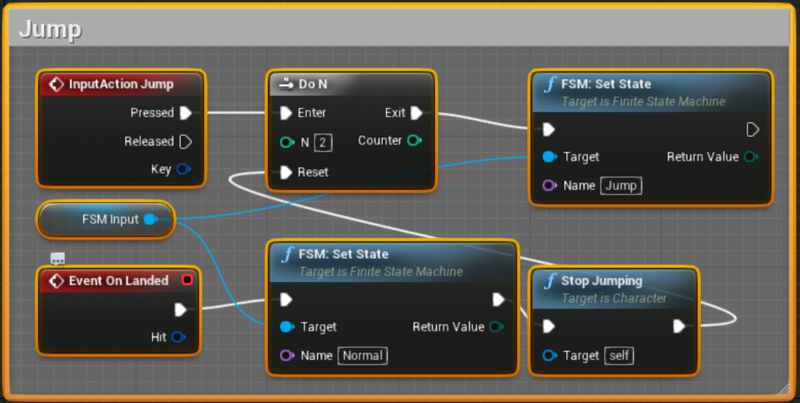 The reason why this plugin is needed is because UE4 has Finite State Machine system available only for the Animation System, but not for programming; Blueprint environment wasn’t really designed with the necessary tools to help you accomplish a proper Finite State Machine system by itself, so a bit of customization via C++ code was needed thus the existence of UFSM, which is a robust C++ component designed to fulfill our requirements. 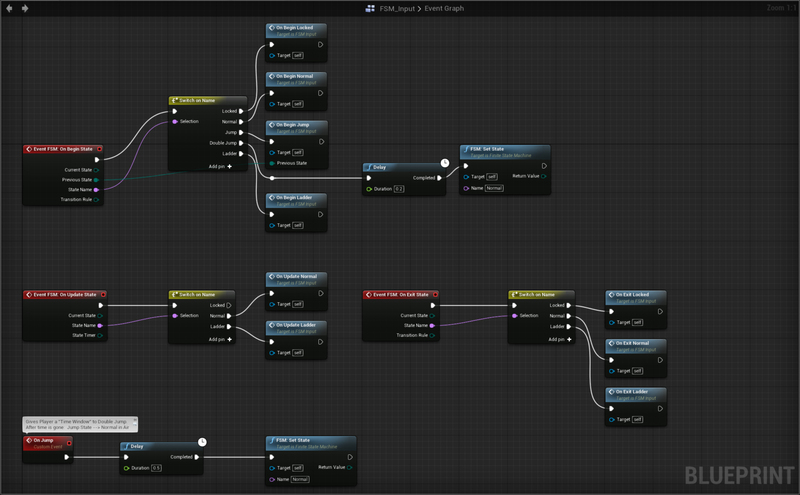 1# UE4 can’t compile plugins if your project is pure Blueprint project. I will explain how to convert the project if that is your case. 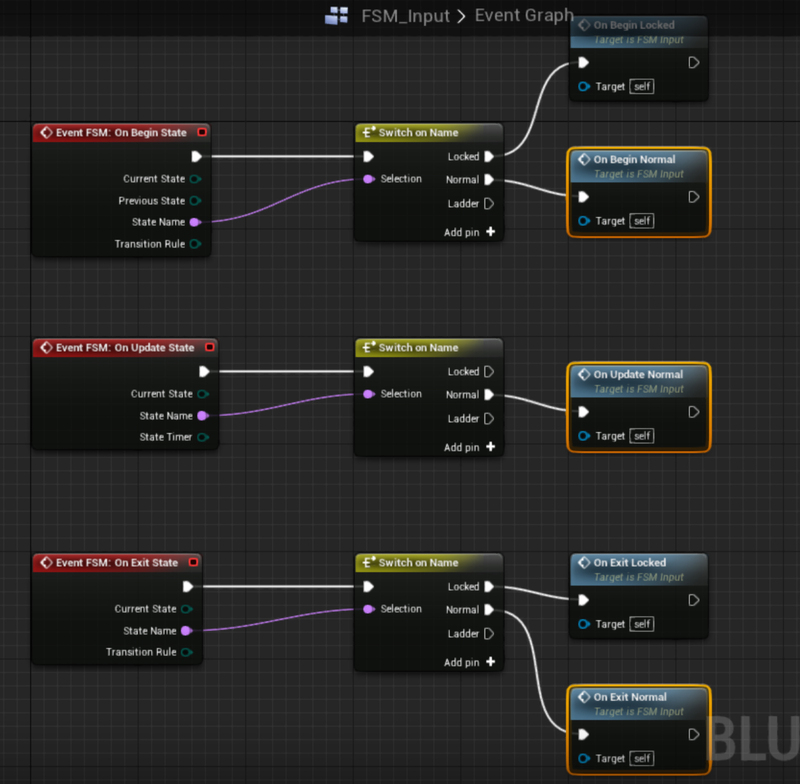 2# If your project is Blueprint only, you have to convert the project before you add a Plugins folder with code to the project. 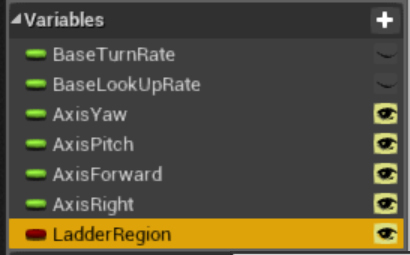 It comes with the character we need and input configuration out of the box so in this case it’s a good place to start. 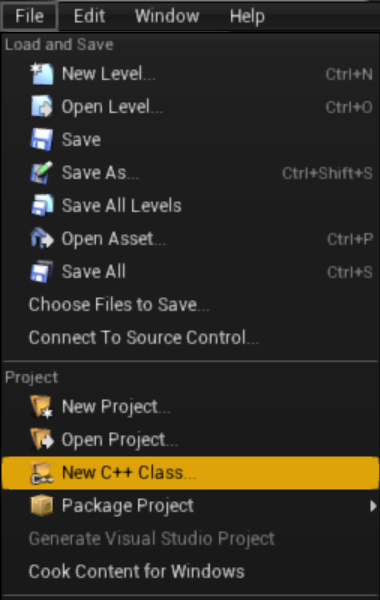 After creating the project and UE4 finish loading… Close the Editor and let’s open the project folder. It means your project is Blueprint only and it has no configuration setup to access and compile C++ source files, which is needed to install code plugins that are not pre-compiled and/or shares C++ source. 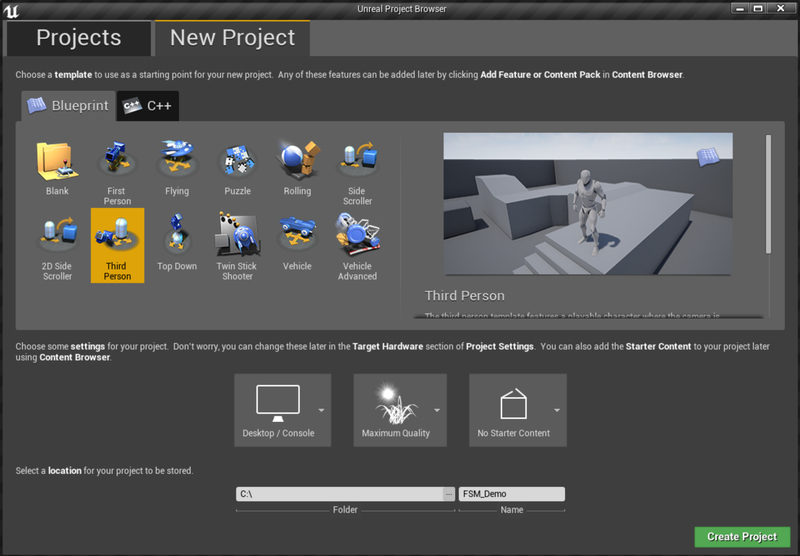 After you’ve created your class, Editor will launch C++ compiler and open Visual Studio for you; now your project is a C++ compatible project. After loading of Visual Studio is complete… Close it, we don’t need it here. Let’s close again the Editor as well. 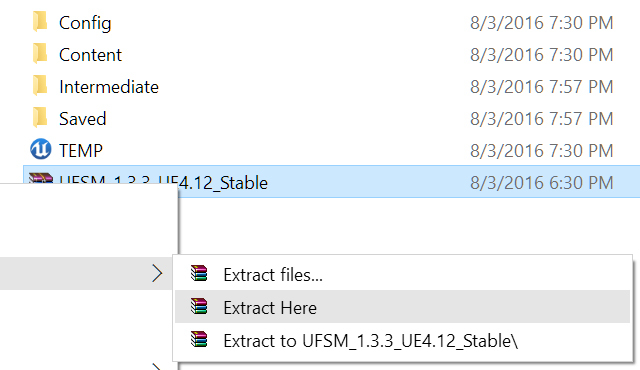 After compilation is done, Editor will launch your project with the new UFSM Plugin installed. 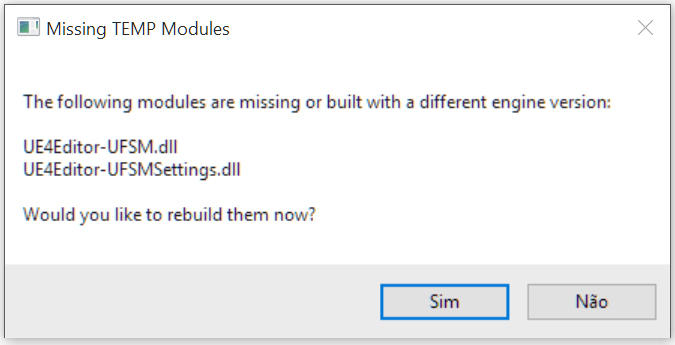 And the plugin is installed successfully, read for you to use! 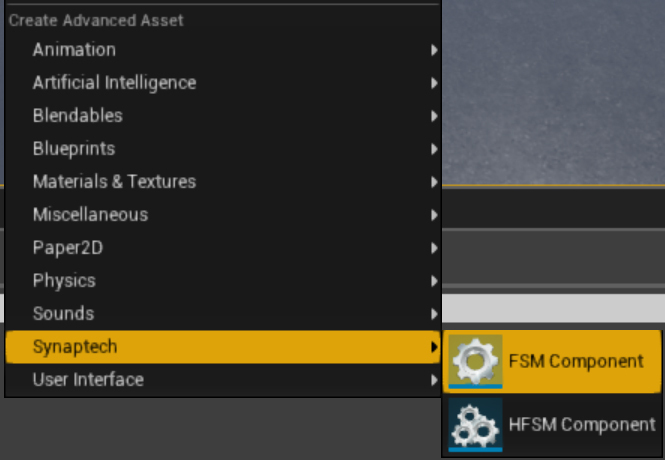 Let’s right click Content Browser, ‘Synaptech -> FSM Component’, to create an FSM. 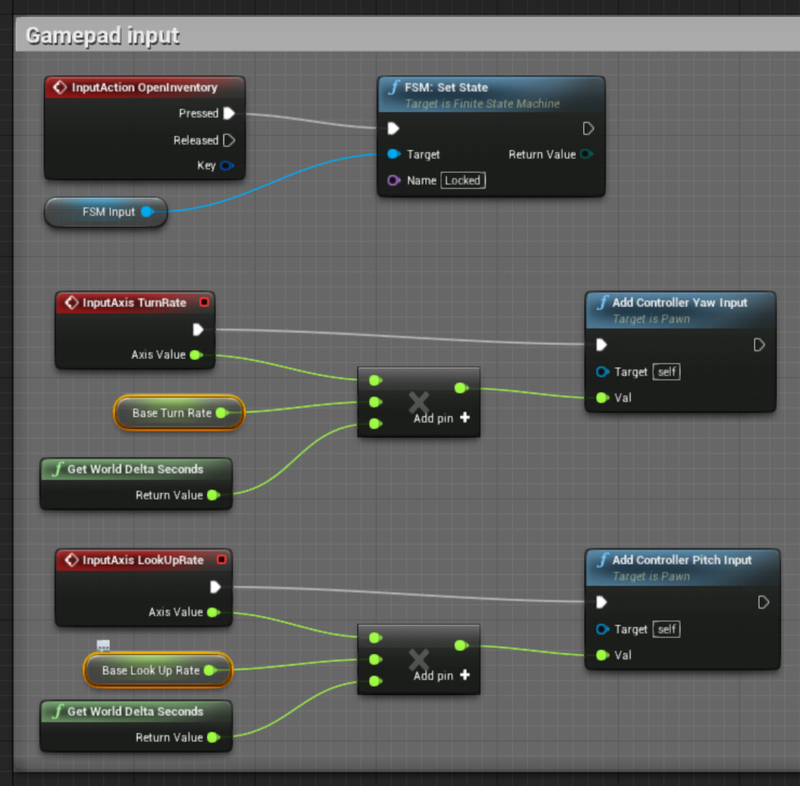 Let’s name it “FSM_Input” for easy identification of the new created asset. 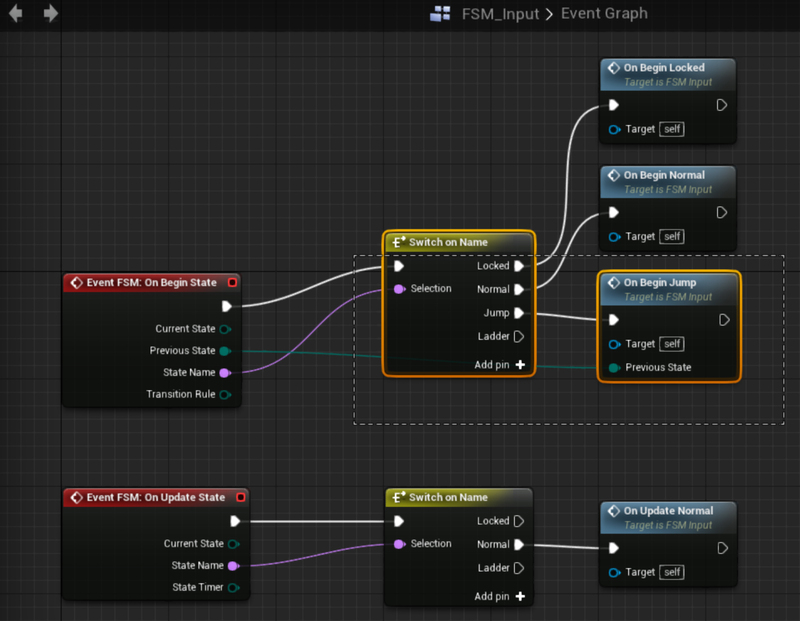 Double click FSM_Input, Blueprint graph for your new component will popup. 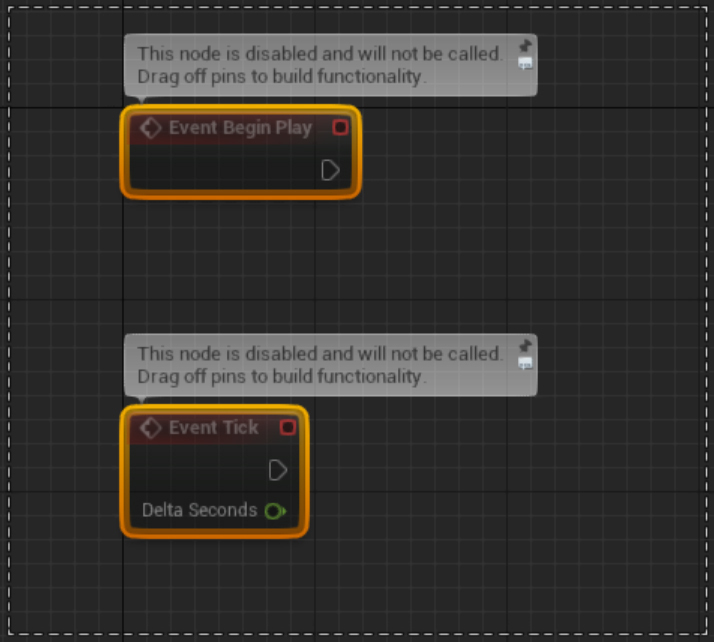 At the Blueprint graph toolbar section, check the “Class Defaults” button; In Details Panel now you shall see ‘FSM’, ‘Activation’ and ‘Events’ sections. 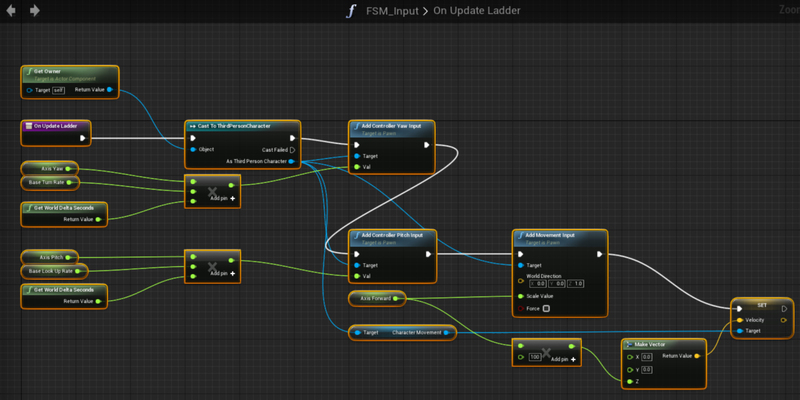 That is because if an FSM Component is not active, it will not ‘Tick’. 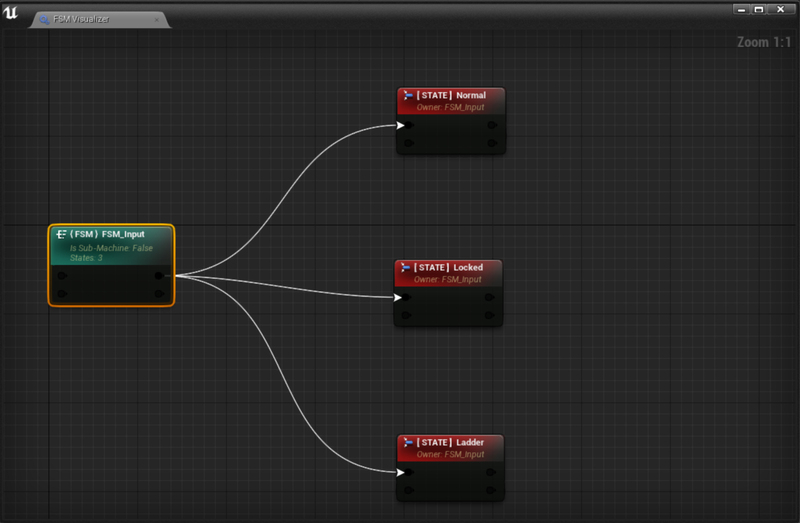 And we want this one to tick since it will process all of our player input logic for us. 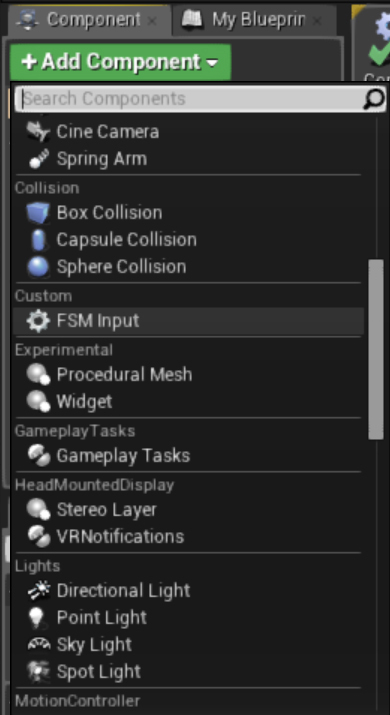 You can also enable/disable FSM Components and tell one another who disabled who to transition between independent FSMs, but that is a topic out of the focus here. 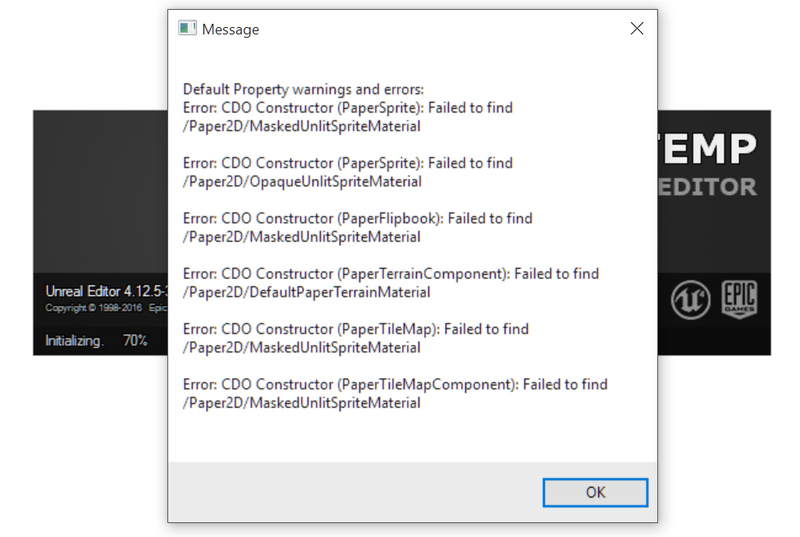 It means your FSM Component Blueprint must be fixed before you save the Blueprint which owns it as a Component attached. 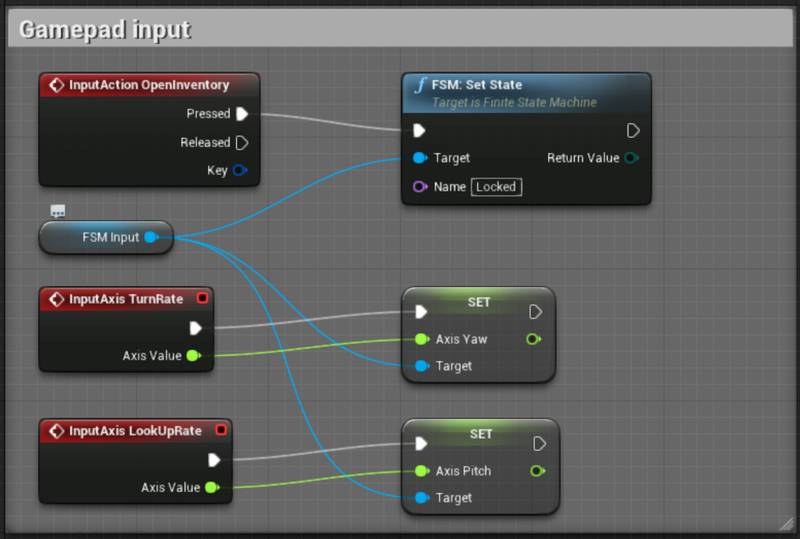 1# Compile the FSM Component Blueprint, and save it. 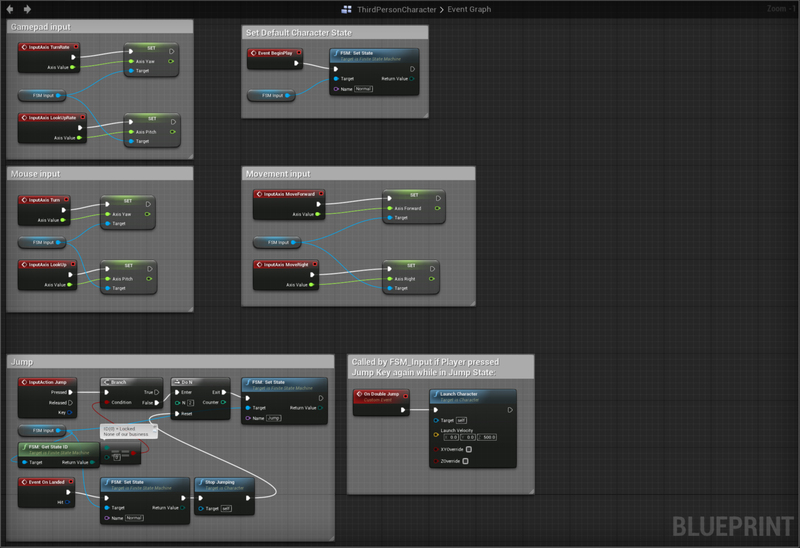 2# Compile the owner Blueprint, in this case our Character Blueprint, then save it. 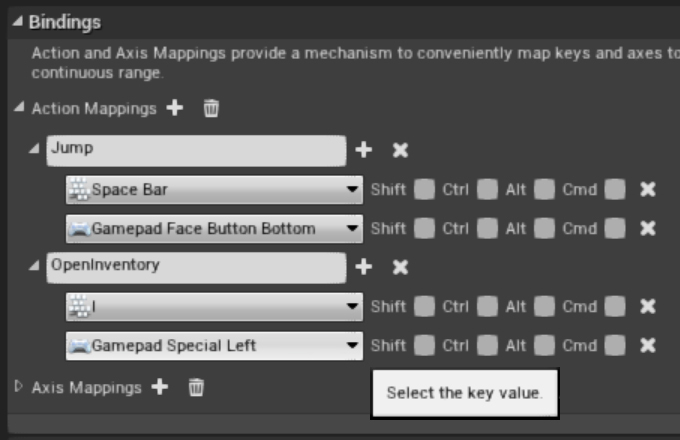 3# Now you can freely save your Map. 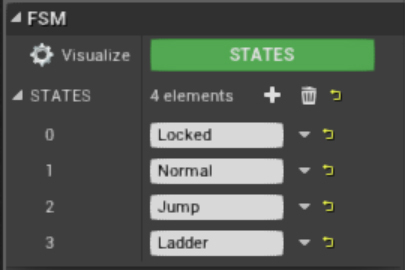 The States are what we will use to control different movement behaviors when our character is using an UI Inventory, moving freely or in ladder movement mode. 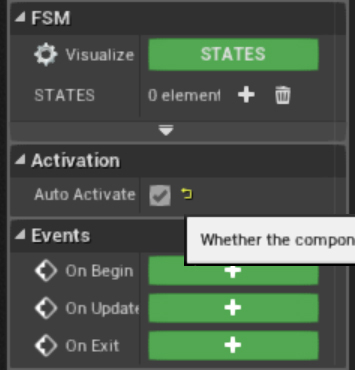 So, under the ‘FSM’ section there’s an Events section; Let’s click its “+” buttons to add our ‘On Begin’, ‘On Update’, and ‘On Exit’ events. 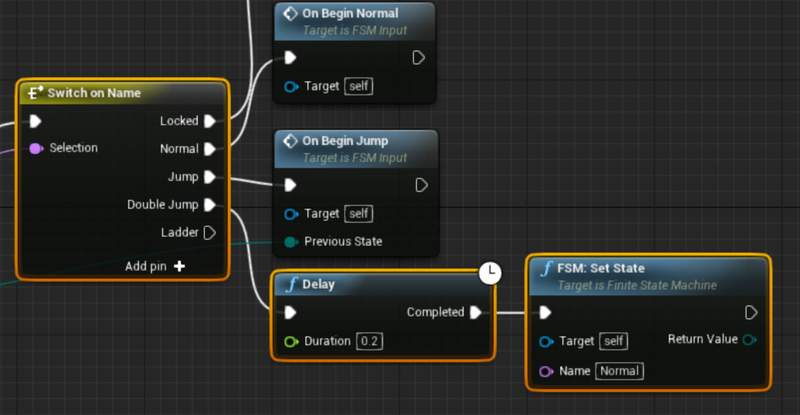 Those events are fired by the FSM system automatically based on changes between States, so here all we have to do is react to each State to program our input behaviors. 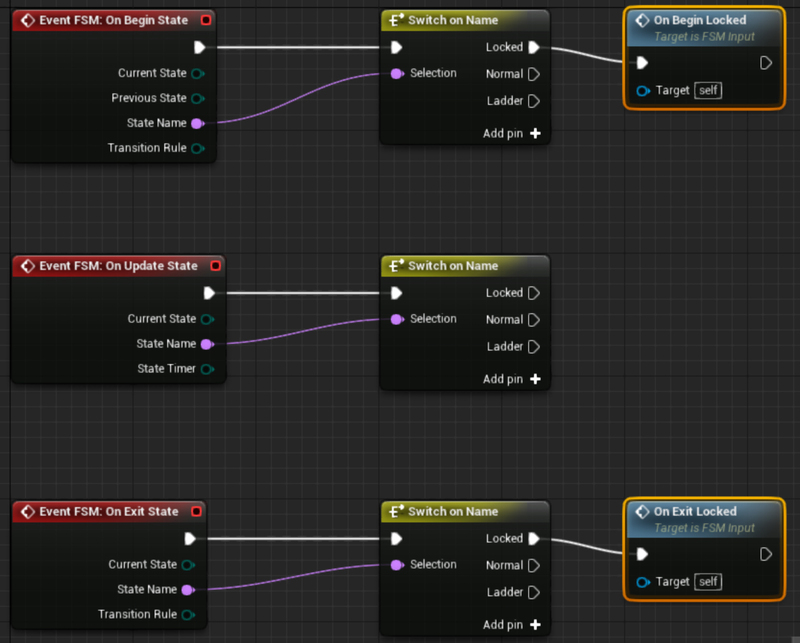 An easy and readable way to react to those State changes, is using a Switch command, so let’s use it here. We will take State by name and switch functions based on its name. 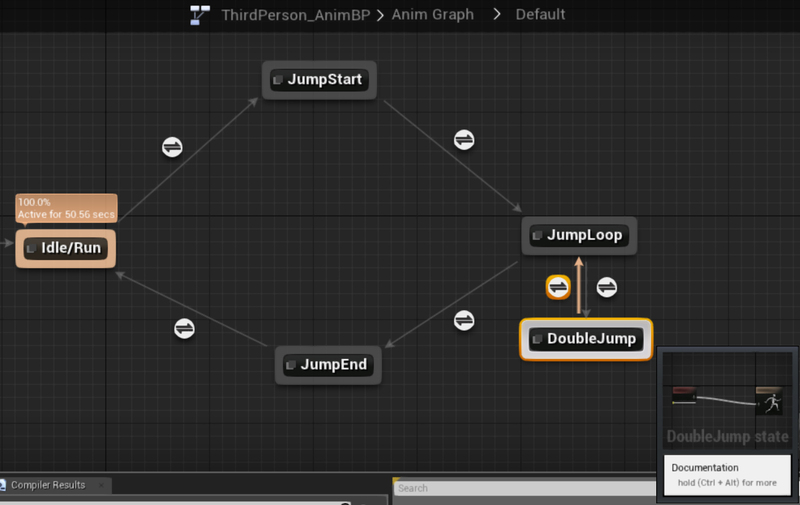 Let’s create, inside our FSM_Input’s graph, a new pair of functions; called ‘On Begin Locked’ and ‘On Exit Locked’. 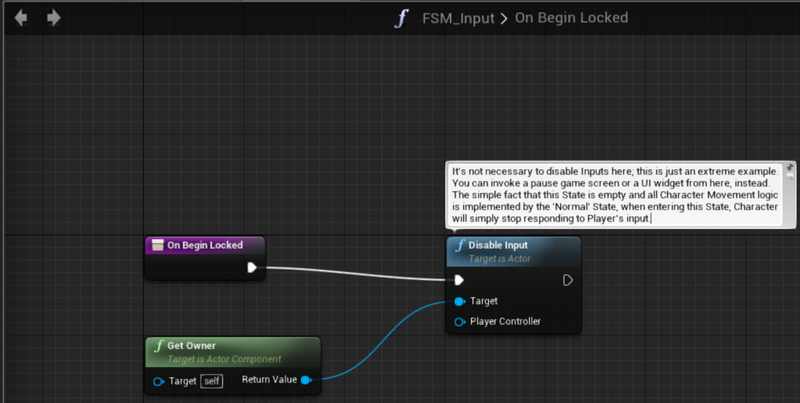 And later if we want to lock input for any reason, but still make Character receive input commands, will be as simple as setting FSM State to “Locked”. 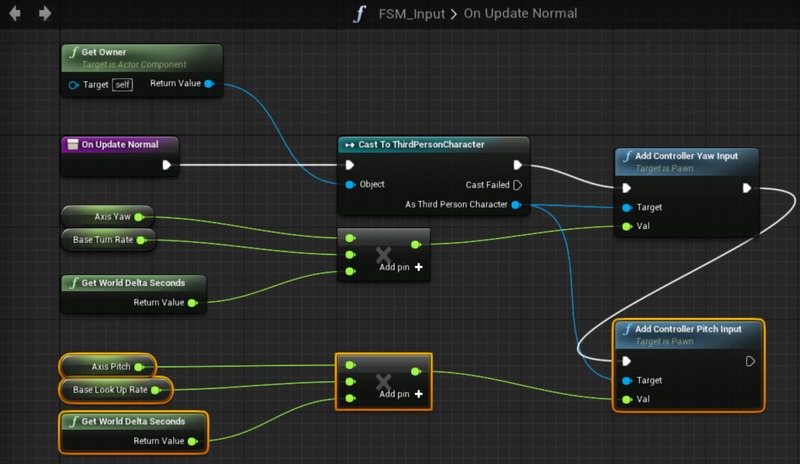 Now to the bigger part of our graph, the ‘Normal’ State; Let’s create inside FSM_Input’s graph three new functions. 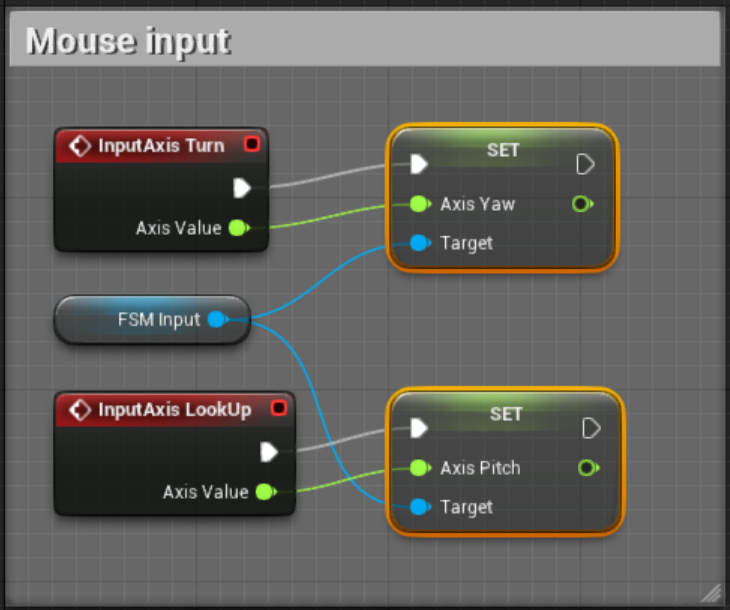 And create two new floats, ‘AxisYaw’ and ‘AxisPitch’; Also copy the ‘AxisForward’ and ‘AxisRight’ from Character Blueprint to FSM_Input. 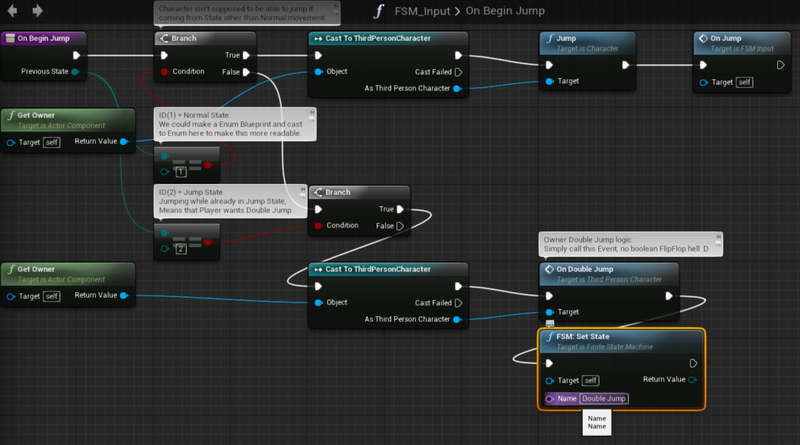 And then our Character Blueprint’s movement FSM is complete and isolated from external behaviors. 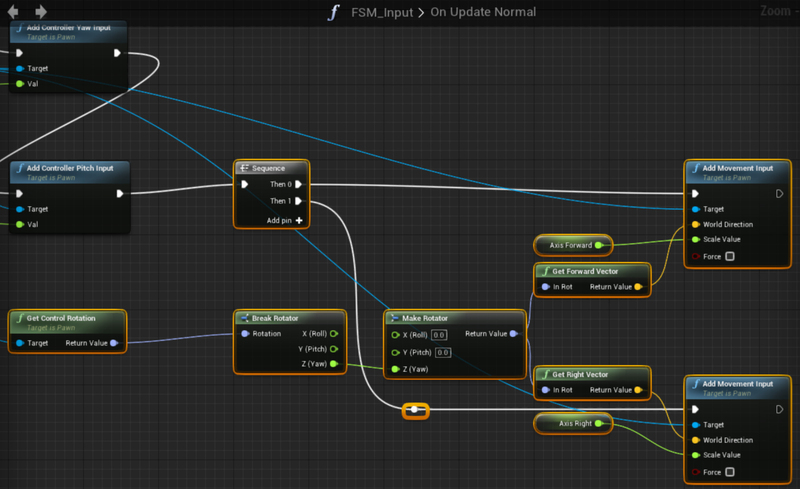 It will only respond to walk/run commands if FSM_Input is running the ‘Normal’ State. 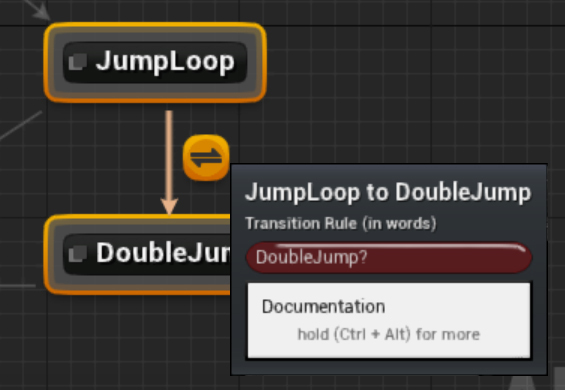 It will just tell the FSM to enter Jump State instead of calling Jump function itself. This will be useful later. 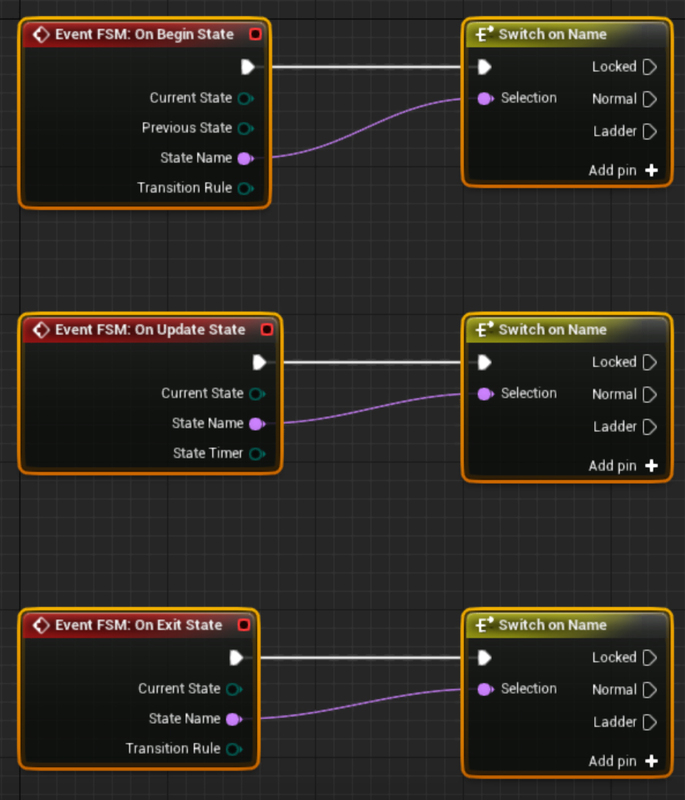 This is something real simple to implement when using Finite State Machines, but a lot of new UE4 game developers struggle with (mainly because they aren’t using FSMs at all). 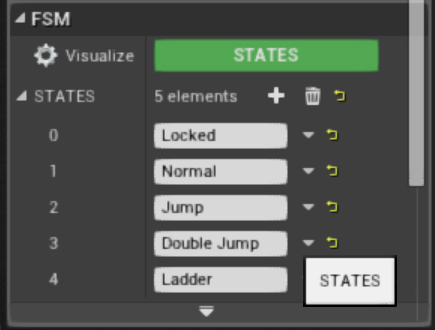 Since we have our inputs implemented inside FSM States, to setup a ladder movement mode all we have to do is change how our character receives input when entering the ‘Ladder’ States; No boolean chains, no if then elses, just change the State. 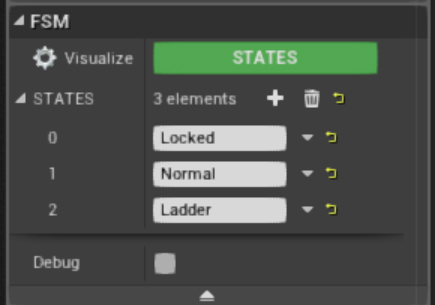 In the ‘On Update Ladder’ function, we do almost the same movement functions from the Normal movement, but now Character can move only up or down. And that is it! 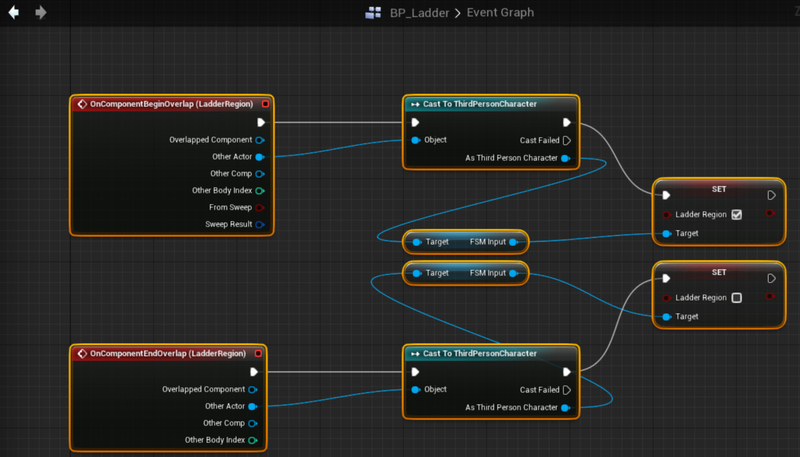 There you have it; Walk/Run, Jump, Double Jump, Ladder climb up or down, Inventory display all with simple functions and very solid behavior!